﻿ Patrice Evra: "We all miss Cristiano Ronaldo at Manchester United"
11.02.2013 » Patrice Evra: "We all miss Cristiano Ronaldo at Manchester United"
Manchester United's left-back, Patrice Evra, has praised Cristiano Ronaldo this last week, in a few words he granted to the club's magazine. 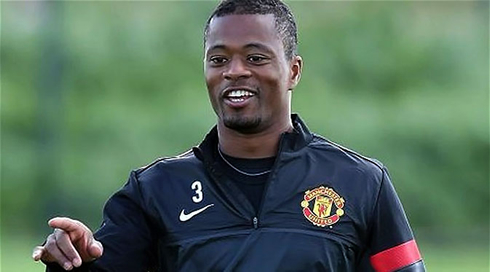 Evra assured that the best strategy to stop his former teammate in the upcoming clashes will involve paying him the respect and tribute he deserves. You can watch Juventus live stream, Real Madrid vs Manchester United live for the UEFA Champions League, right next Wednesday. Patrice Evra and Cristiano Ronaldo played together in Manchester United between 2006 and 2009. The Frenchman still recalls very well the days where Ronaldo used to terrorize defences in the English Premier League wearing a Red Devils' jersey and guaranteed that he holds nothing but respect on the Real Madrid and Portuguese superstar. In a quick interview conceded to Manchester United's magazine "Inside United" just a few days ago, Evra anticipated the two Real Madrid vs Manchester United games we'll have ahead of us, with a special focus on the 2nd leg, set to be played at Old Trafford, in the beginning of March. 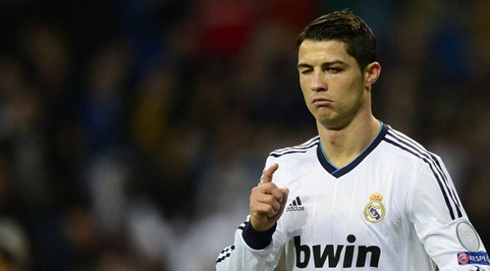 In the short term, all eyes will be at the Santiago Bernabéu, where all sports betting bookmakers seem to concede a pronounced favoritism to Real Madrid, with Unibet for example, paying 1.62 for a Merengues victory, against a 5.50 odd for the Red Devil's win. 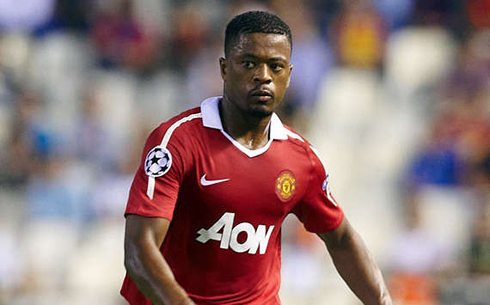 Patrice Evra started his professional football career in Italy, playing for minor clubs such as Marsala and Monza. In 2000, he joined the French League and OGC Nice, which allowed him to start being noticed by several big clubs and sign for Monaco, in 2002. The left-back would then win the French League in 2002-03 and complete 4 straight seasons playing for Monaco, a club that has recently fallen into Ligue 2. In 2006, Evra joined Cristiano Ronaldo at Manchester United and quickly became a first choice in Sir Alex Ferguson's squad. Evra: "This will be a highly emotional game for Ronaldo, simply because he still loves Manchester United! I definitely hope that all this emotional charge around these games end up getting to him, since that can turn out to be perfect for us...", remarked the 31-years left back, in hope that the Portuguese forward fail to be at his best against Manchester United on February 13 and March 5. Patrice Evra: "I think it will be huge mistake to wind or tease Cristiano Ronaldo before these games, because when he gets angry and upset, he becomes a better and more dangerous player", stated the Frenchman, in a sort of an appeal and request for Manchester United fans to treat Ronaldo with admiration and respect, so they may perhaps avoid that the Real Madrid forward transforms into that unstoppable player that has so often showed up throughout this season. Evra: "In my opinion, we should all try to be as nice as possible with Ronaldo. We should show him his very welcome at home, and that it is a pleasure to have him back, because we love him and because he is indeed the best player in the World. I believe we can stop him with love! We've already been exchanging plenty of text messages with him and I hope and expect that the fans grant him a huge ovation because of everything he did for Manchester United. I miss him a lot as well! ", confessed the French international, on the preview of his head-to-head with Cristiano Ronaldo, for the upcoming Manchester United vs Real Madrid series of matches. Cristiano Ronaldo next game for Real Madrid will be an emotional match against his former club Manchester United, on February 13, 2013. You can watch Juventus live stream, Real Madrid vs Manchester United live, Valencia vs PSG, Liverpool vs WBA and Celtic vs Juventus, all matches provided from our soccer live section.